The conference felt a little smaller than the last edition, although I guess the college we were hosted at tried hard to bring their students to the talks. That was especially noticeable in the opening slot were everybody who felt sufficiently important had something to say. The big auditorium was filled with students, but I doubt they were really interested or listening. The opening was a bit weird for my taste, anyway. I have seen many conference openings, I would say. But that guy from the college who opened GNOME.Asia 2016 seemed to be a little bit confused, I have the feeling. He said that GNOME started 2008 so that all the software you use can be had freely so that you can upgrade your devices, like GPS satnavs. The opening ceremony, and yes, it’s really more of a ceremony rather than a short “welcome, good that you’re here” talk seems to be quite a formal thing in this college. Everybody on the stage receives a bouquet of flowers and many people were greeted and saluted to which stretched everything to an enormous length which in turn made the schedule slip by two hours or so. Pravin then continued to talk about the state of Indian languages in GNOME. He mentioned that some Indian languages are well supported while some others have no support at all. He also showed that with Fedora 24 you get a text prediction engine. So you can type Latin characters for the word you want to enter in a different script. The Q&A revealed that the list of suggested words is sorted by frequency. Apparently they did some analysis of usage of words. I wonder whether it’s also able to learn from the user’s behaviour. The talk on privacy given by Ankit Prateek showed how your typical Internet and Web usage would leave traces and what you mitigation you could employ. He mentioned specific Web attacks like Super Cookies or Canvas fingerprinting. He recommended using NoScript whichs usefulness the audience immediately questioned. To my surprise, he didn’t mention one my favourite plugins Google Privacy, because Google remembers what search results you click. I got to talk about five years of GNOME 3. I conveyed the story of how the 3.0 release happened and what was part of it. For example, we had so many release parties with swag being sent around the world! But I also showed a few things that have changed since the initial 3.0. Another talk I had was about Security. I explained why I see GNOME being in the perfect position to design, develop, and deploy security systems for a wide range of users. First, I ranted about modal dialogues, prompts, and that they are not a good choice for making a security decision. Then, I explained how we could possible defend against malicious USB devices. I think it’s work we, as developers of a Free Software desktop, have to do in order to serve our users. Technically, it’s not very hard, e.g. you block new USB devices being plugged in, when the screensaver is shown. We know how to do the blocking and unblocking of USB devices. More subtle issues involve the policies to apply and how to make the user aware of USB devices. Another pet peeve of mine is Keysigning, so I also ranted about the state of the art and we can and should improve things. Thanks to the local organising people and the GNOME Foundation for flying me in and out. 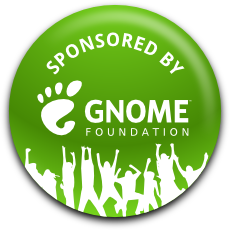 I have just returned from the GNOME.Asia Summit 2015 in Depok, Indonesia. Out of the talks, the most interesting talk I have seen, I think, was the one from Iwan S. Tahari, the manager of a local shoe producer who also sponsored GNOME shoes! “Open Source Software in Shoes Industry” was the title and he talked about how his company, FANS Shoes, est 2001, would use “Open Source”. They are also a BlankOn Linux partner which seems to be a rather big thing in Indonesia. In fact, the keynote presentation earlier was on that distribution and mentioned how they try to make it easier for people of their culture to contribute to Free Software. Anyway, the speaker went on to claim that in Indonesia, they have 82 million Internet users out of which 69 million use Facebook. But few use “Open Source”, he asserted. The machines sold ship with either Windows or DOS, he said. He said that FANS preferred FOSS because it increased their productivity, not only because of viruses (he mentioned BRONTOK.A as a pretty annoying example), but also because of the re-installation time. To re-install Windows costs about 90 minutes, he said. The average time to install Blank On (on an SSD), was 15 minutes. According to him, the install time is especially annoying for them, because they don’t have IT people on staff. He liked Blank On Linux because it comes with “all the apps” and that there is not much to install afterwards. Another advantage he mentioned is the costs. He estimated the costs of their IT landscape going Windows to be 136,57 million Rupees (12000 USD). With Blank On, it comes down to 0, he said. That money, he can now spend on a Van and a transporter scooter instead. Another feature of his GNU/Linux based system, he said, was the ability to cut the power at will without stuff breaking. Indonesia, he said, is known for frequent power cuts. He explicitly mentioned printer support to be a major pain point for them. When they bootstrapped their Free Software usage, they first tried to do Dual Boot for their 5 employees. But it was not worth their efforts, because everybody selected Windows on boot, anyway. They then migrated the accounting manager to a GNU/Linux based operating system. And that laptop still runs the LinuxMint version 13 they installed… He mentioned that you have to migrate top down, never from bottom to top, so senior management needs to go first. Later Q&A revealed that this is because of cultural issues. The leaders need to set an example and the workers will not change unless their superiors do. Only their RnD department was hard to migrate, he said, because they need to be compatible to Corel Draw. With the help of an Indonesian Inkscape book, though, they managed to run Inkscape. The areas where they lack support is CAD (think AutoCAD), Statistics (think SPSS), Kanban information system (like iceScrum), and integration with “Computer Aided Machinery”. He also identified the lack of documentation to be a problem not only for them, but for the general uptake of Free Software in Indonesia. In order to amend the situation, they provide gifts for people writing documentation or books! The next talk was given by Ahmad Haris with GNOME on an Android TV Dongle. He brought GNOME to those 30 USD TV sticks that can turn your TV into a “smart” device. He showed various commands and parameters which enable you to run Linux on these devices. For the reasons as to why put GNOME on those devices, he said, that it has a comparatively small memory footprint. I didn’t really understand the motivation, but I blame mostly myself, because I don’t even have a TV… Anyway, bringing GNOME to more platforms is good, of course, and I was happy to see that people are actively working on bringing GNOME to various hardware. He gave instructions as to how to create a custom kernel for the Nexus 7 device. He also encountered some problems, such as compilations errors, and showed how he fixed them. After building the kernel, he installed Arch-Linux with the help of some scripts. This, however, turned out to not be successful, so he couldn’t run his custom Arch Linux with GNOME. He wanted to have a tool like “ubuntu-device-flash” such that hacking on this device is much easier. Also, downloading and flashing a working image is too hard for casually hacking on it, he said. A presentation I was not impressed by was “In-memory computing on GNU/Linux”. More and more companies, he said, would be using in-memory computing on a general operating system. Examples of products which use in-memory computing were GridGain, SAP HANA, IBM DB2, and Oracle 12c. These products, he said, allow you to make better and faster decision making and to avoid risks. He also pointed out that you won’t have breaking down hard-drives and less energy consumption. While in-memory is blazingly fast, all your data is lost when you have a power failure. The users of big data, according to him, are businesses, academics, government, or software developers. The last one surprised me, but he didn’t go into detail as to why it is useful for an ordinary developer. The benchmarks he showed were impressive. Up to hundred-fold improvements for various tests were recorded in the in-memory setting compared to the traditional on-disk setting. The methodology wasn’t comprehensive, so I am yet not convinced that the convoluted charts show anything useful. But the speaker is an academic, so I guess he’s got at least compelling arguments for his test setup. In order to build a Linux suitable for in-memory computation, they installed a regular GNU/Linux on a drive and modify the boot scripts such that the disk will be copied into a tmpfs. I am wondering though, wouldn’t it be enough to set up a very aggressive disk cache…? I was impressed by David’s work on ChorusText. I couldn’t follow the talk, because my Indonesian wasn’t good enough. But I talked to him privately and he showed me his device which, as far as I understand, is an assistive screen reader. It has various sliders with tactile feedback to help you navigating through text with the screen reader. Apparently, he has low vision himself so he’s way better suited to tell whether this device is useful. For now, I think it’s great and I hope that it helps more people and that we can integrate it nicely into GNOME. My own keynote went fairly well. I spent my time with explaining what I think GNOME is, why it’s good, and what it should become in the future. If you know GNOME, me, and my interests, then it doesn’t come as a surprise that I talked about the history of GNOME, how it tries to bring Free computing to everyone, and how I think security and privacy will going to matter in the future. I tried to set the tone for the conference, hoping that discussions about GNOME’s future would spark in the coffee breaks. I had some people discussing with afterwards, so I think it was successful enough. All in all, many kudos to the organisers. I think this year’s edition was quite successful.